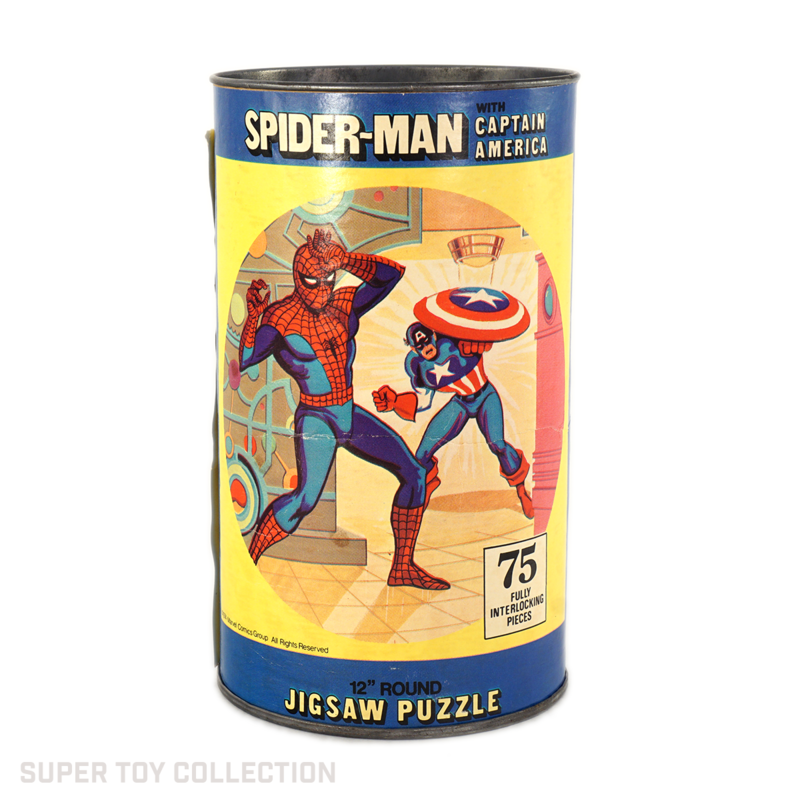 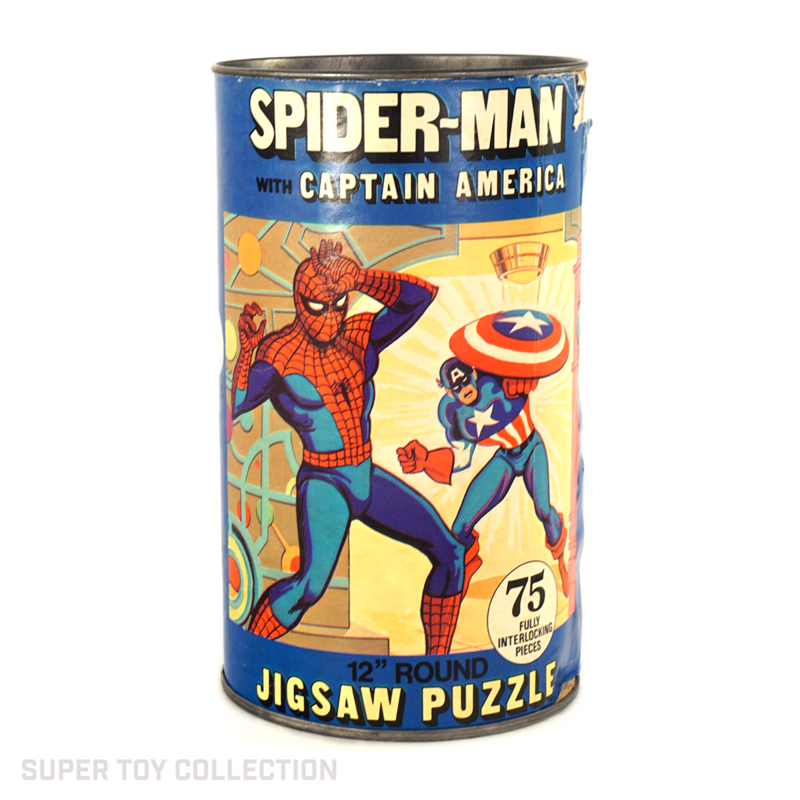 This is a 12″ round, 75-piece jigsaw puzzle that came in a cardboard can with metal top and bottom. 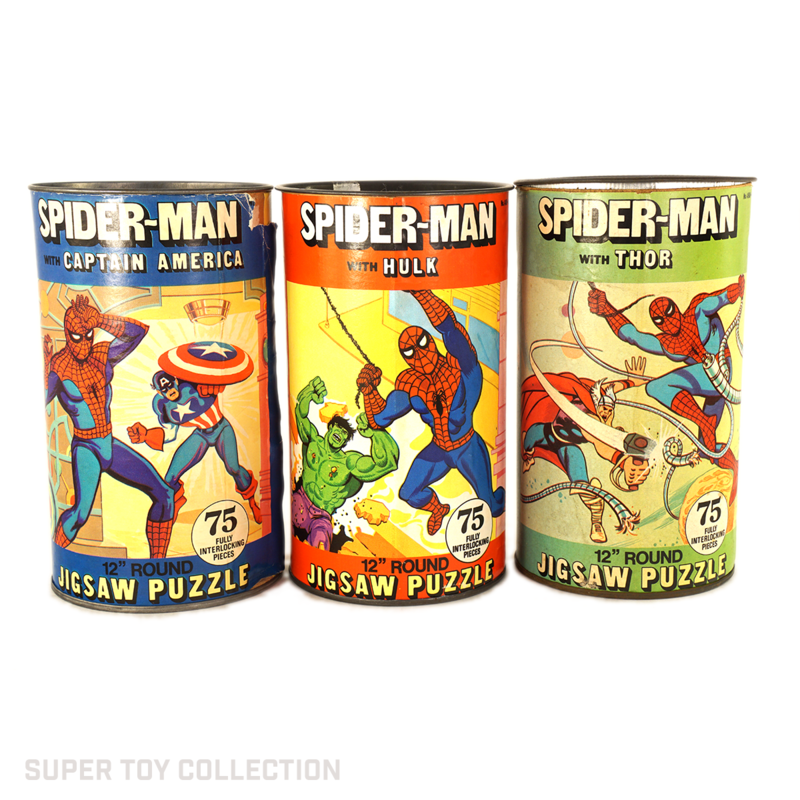 This is one in a series of Spider-Man team-up puzzles, with the others featuring Thor and the Incredible Hulk. 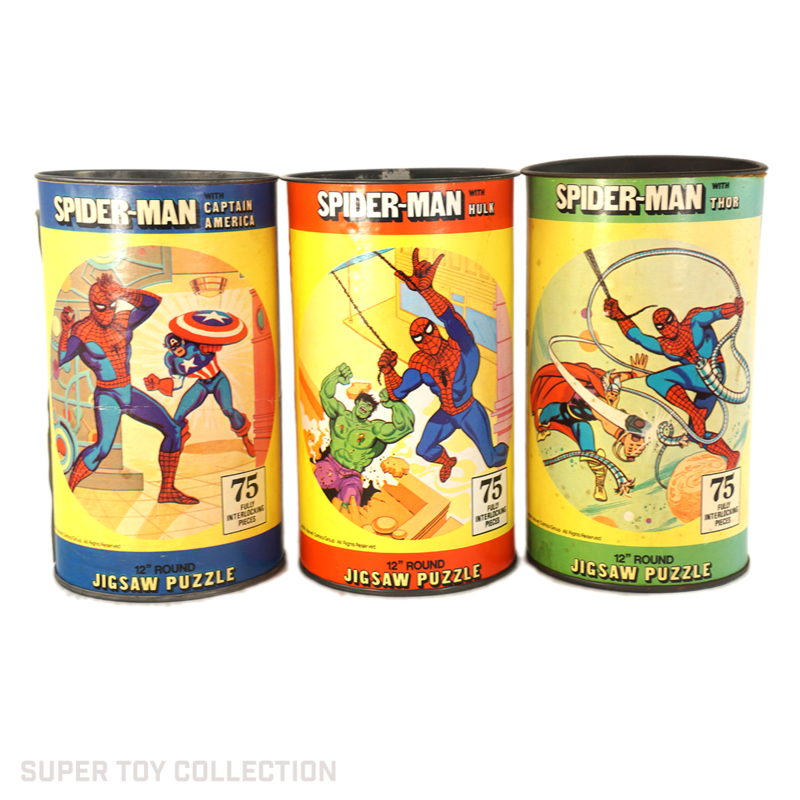 These puzzles were also sold in regular boxes.